North Wales is a great place to enjoy the sport of Open Canoeing. We have a vast amount of rivers open for use and in addition to this we have a number of lakes and canals to hone those skills before heading onto the whitewater. We have a fleet of canoes ranging in sizes and types to meet your needs. 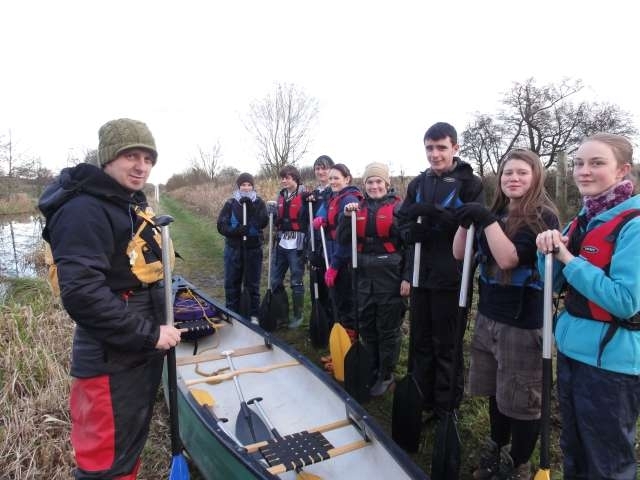 We have a number of different courses available to you ranging from half day sessions where you learn the basics to weekend courses where we will teach you all about Open Canoe skills and journeying. We also run a number of expeditions each year to places such as Scotland and Sweden. 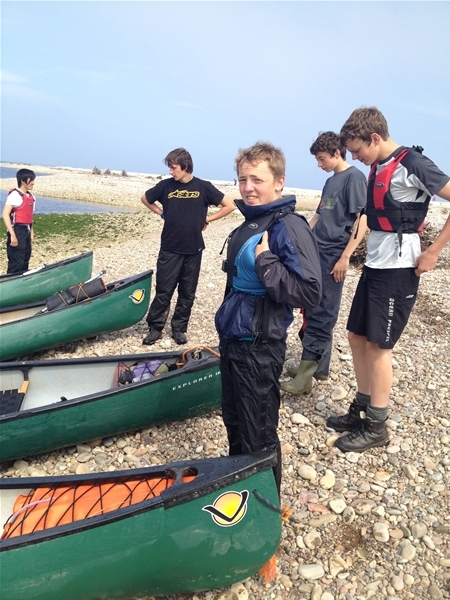 North Wales is a great place to enjoy the sport of Open Canoeing. We have a vast amount of rivers open for use and in addition to this we have a number of lakes and canals to hone those skills before heading onto the whitewater. We have a fleet of canoes ranging in sizes and types to meet your needs. 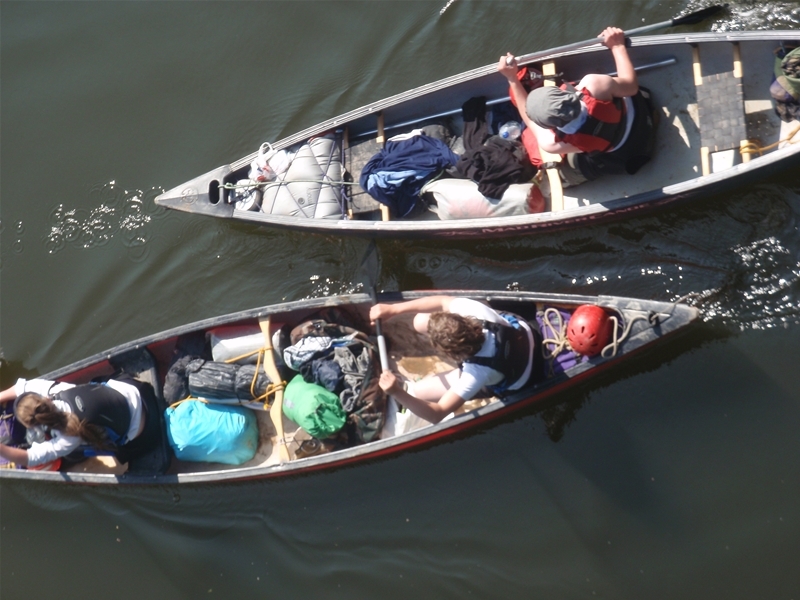 We have a number of different courses available to you ranging from half day sessions where you learn the basics to weekend courses where we will teach you all about Open Canoe skills and journeying. We also run a number of expeditions each year to places such as Scotland and Sweden. Never tried Open Canoeing before, that doesn’t matter, come along on our beginner sessions and we will tell you all you need to know to get the boat going in a straight line. We will also play games and generally have a good time. Half day session from £50 per person. This is a specially designed course to enable you to get yourself and your canoe down a grade 2 local river. Set over two days this course will include a day of flat water canoeing where you will learn the basic strokes needed to get down the river. The second day is the “river trip”. This will be on one of our local grade 2 rivers depending on water levels. You will encounter a number of different rapids and waves and by the end of the day will be comfortable on moderate whitewater. We will put you up in one of our local Bed and Breakfast's where you'll start the day with a full Welsh breakfast to get you going. This includes tuition, Equipment, and 1 nights Bed and Breakfast at a local bunkhouse. Minimum 2 people to run this course. This is for those people who have already had a taste of Open Canoeing and want to do more. Set over two days this course will include two days of whitewater, the first day will be on a specific whitewater site where you will learn lots of moving water strokes and then we will move on to the second day which will be a river trip on one of our local rivers. By the end of this course you should be quite comfortable on moving water and have the skills to tackle most things. This is one of our most popular courses. During the two days you will take part in a river trip down one of our local rivers in Canoes. You will learn all the necessary skills to paddle your canoe down the river. We will then camp at our bespoke site where our dedicated Bushcraft instructor will show you a series of bushcraft skills in this beautiful setting before bedding down under the stars. The following day you will continue in your way down river. All equipment, food, tarps, instruction is included in the price you just need to bring yourself and a sleeping bag and off we go. We have spaces all year round for a minimum of 2 people. Price: £209 per person including food. For this year we are offering the chance to come on a wilderness expedition to the wilds of northern Scotland. 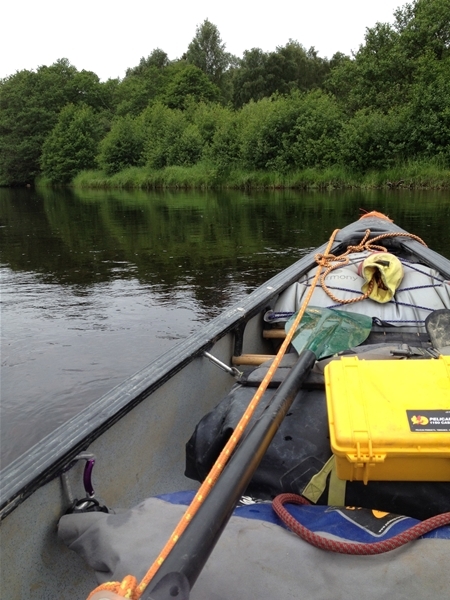 Spread over 5 days you will experience the remoteness of Scotland only experienced from a canoe. We will be away from civilization for 4 nights and what we take with us is all we have so pack well. The trip is based on Loch Shiel, nr Fort William and involves paddling the length of the loch and down some local tributaries. Every night we will be wild camping under the stars (well, in tents) and cooking on fires (weather permitting). On previous trips we have seen deer, osprey and eagles from the canoes and caught fresh fish to supplement the evening meal. If this is something you feel like doing then don’t hesitate to get in touch and book your place on a once in a lifetime trip. Price: £350 per person excluding food and transport. What do I need? : You need to wear trainers or walking boots and bring a towel and a change of clothes. What is the minimum age? : 8 years old but under 18's need to be accompanied by an adult. Is this available all year round? : Yes, we run 364 days a year. (only Father Christmas works on that day). Do I need experience? : No, we tailor each and every session to suit the group.